Quick, it’s almost Halloween…what are your children wearing? If you’re anything like me, you’re a last minute costume planner (where did all of September go???) and usually are scrambling to throw something together in the few days before Halloween. Well, never fear, because I’ve gathered some really cute/handsome/adorable/awwww-worthy DIY Disney Halloween costumes for kids and babies. Some of these are forehead-smackingly simple, while others take some mad sewing skills. Either way, I’m guessing there’s an idea or two or three in here for your next family costume party. For your little boy (or girl!) 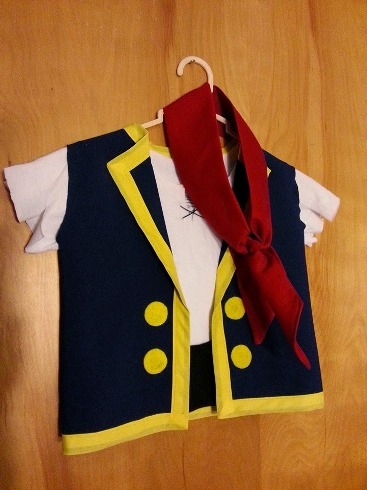 who is a fan of Jake and the Neverland Pirates, this costume from All Four Loves is basically just sewing a vest and a bandanna. 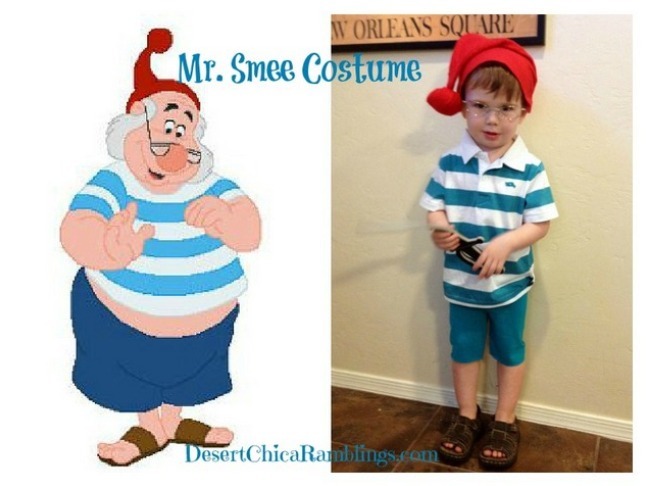 How darling is this wee Mr. Smee from Desert Chica Ramblings? 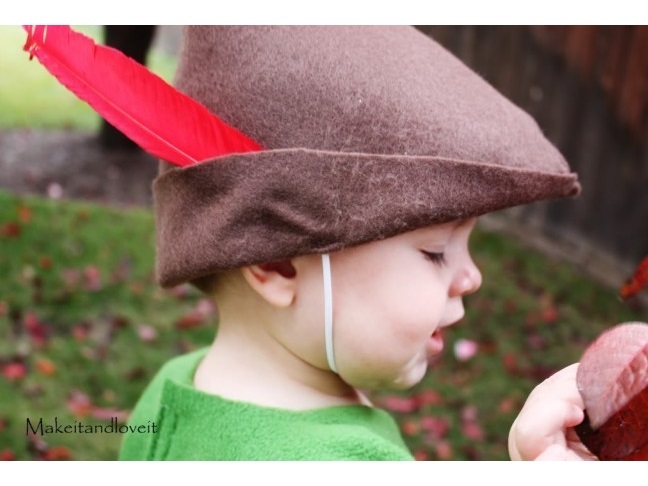 This Peter Pan costume from Make It, Love It even features a tutorial for a little dagger made from felt. Cutest weapon ever? 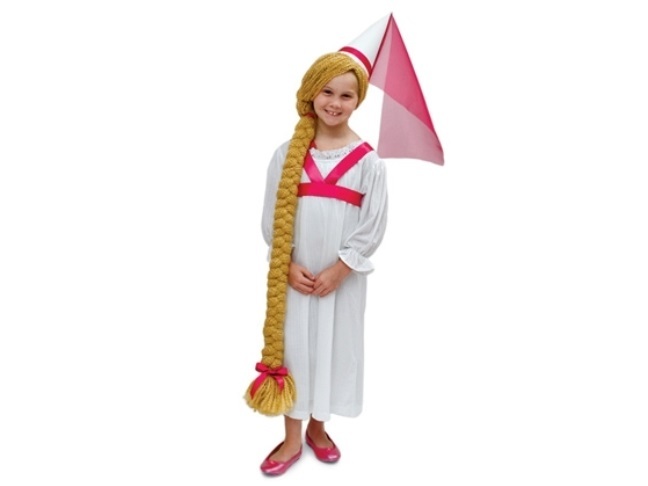 The highlight of this DIY Rapunzel costume on Spoonful is certainly the braided yarn wig. 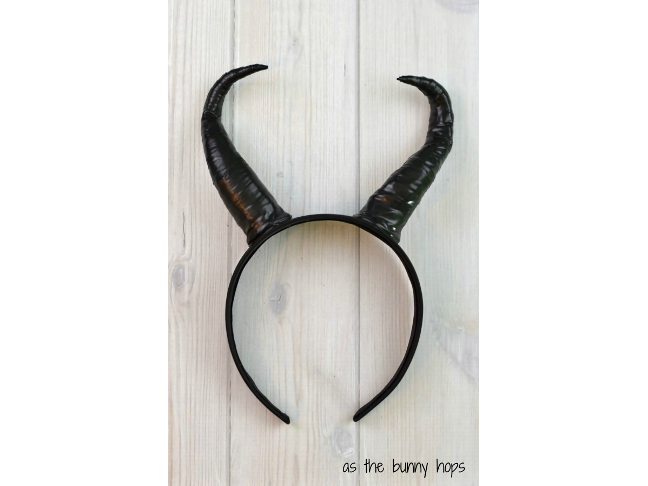 Pair this DIY Maleficent horns headband from As the Bunny Hops with a simple black dress, and you have an instant costume! 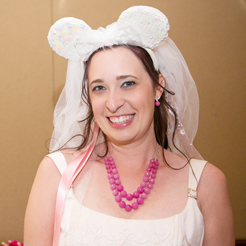 Same with these felt Stitch ears from Disney Family. Any blue outfit would do nicely! 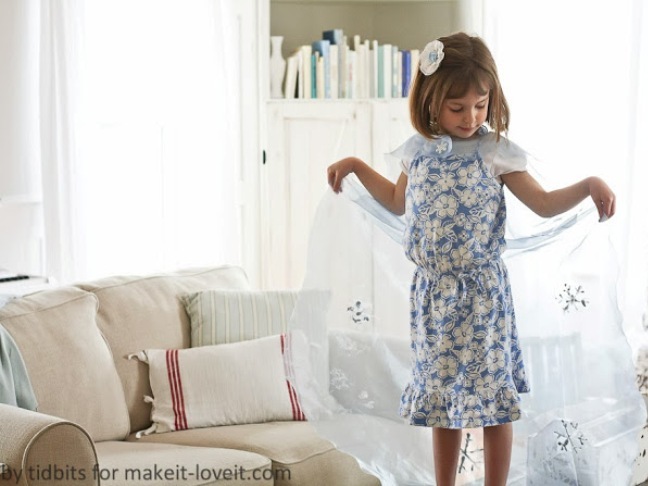 If your little princesses are into Frozen (is the sky blue? ), then check out this no-sew Elsa cape from Make It, Love It. 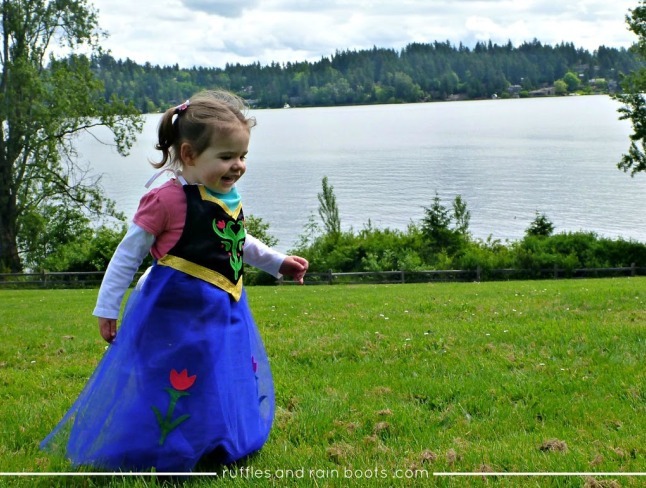 This Anna apron from Happiness Is Homemade is on the more complicated side of the sewing skill spectrum, but the end result is downright adorable! 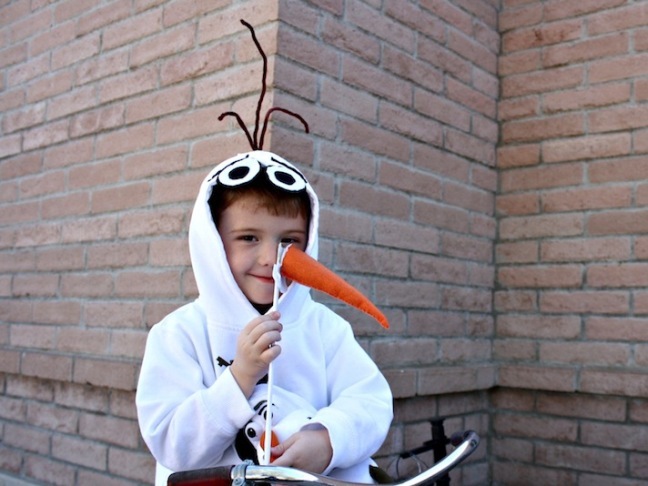 If you have an Olaf fan in the house, this DIY costume from Desert Chica is for you. 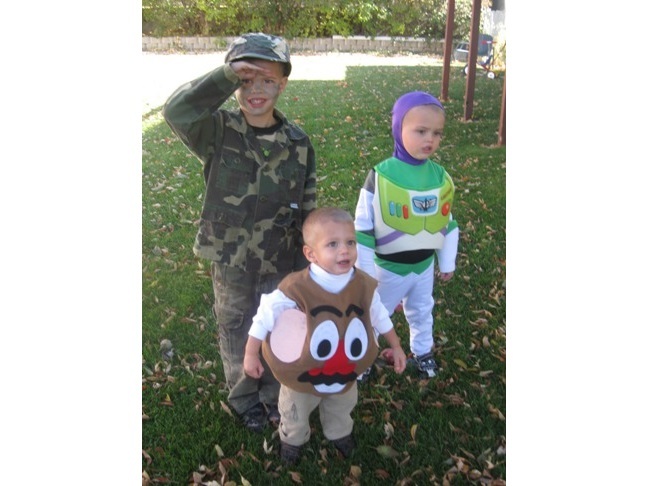 I love when families or siblings do a group costume, like this Toy Story trio from BK Tribe. I spy Green Army Man, Mr. Potato Head, and Buzz Lightyear himself. 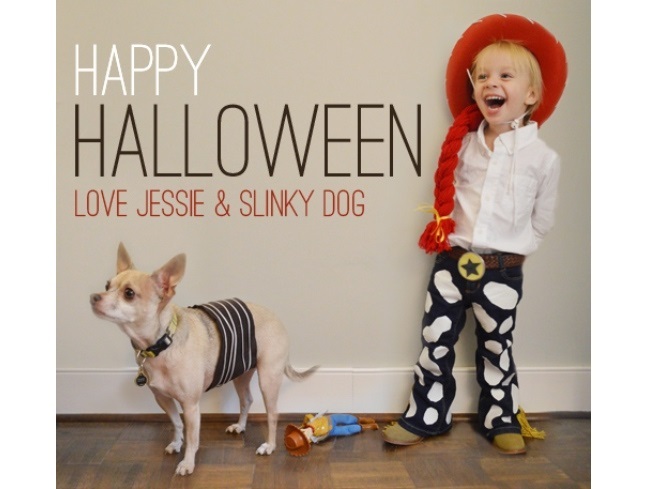 This little Jessie the Cowgirl (and her pal Slinky Dog) is too cute for words. Young House Love has the surprisingly simple DIY for this cute costume. 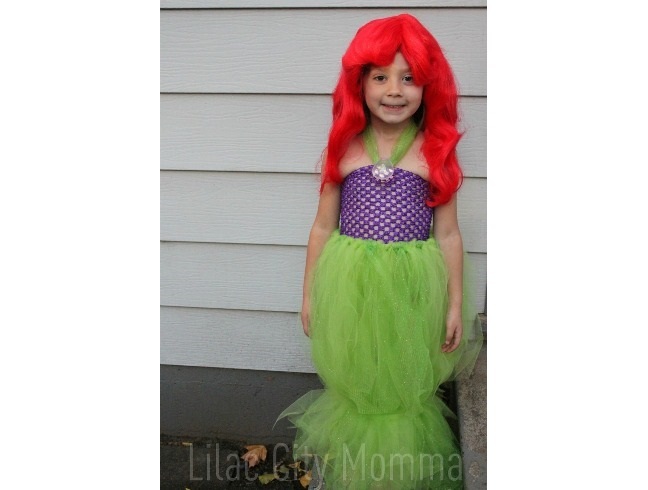 Another deceptively simple DIY costume is this one by Eat, Craft, Parent! 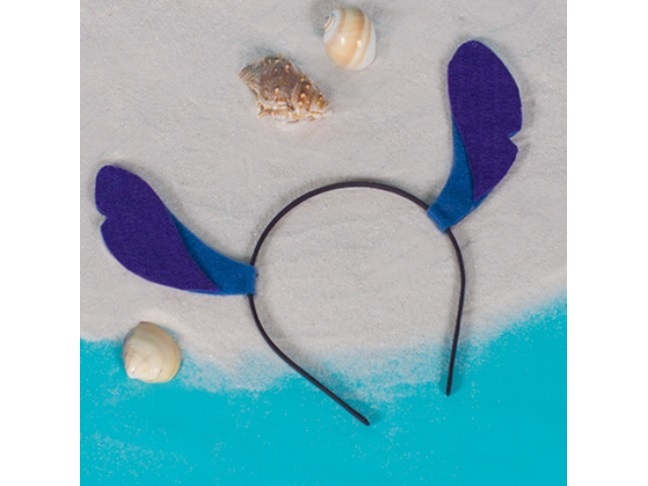 This Ariel tail is just some tulle attached to a crochet headband. 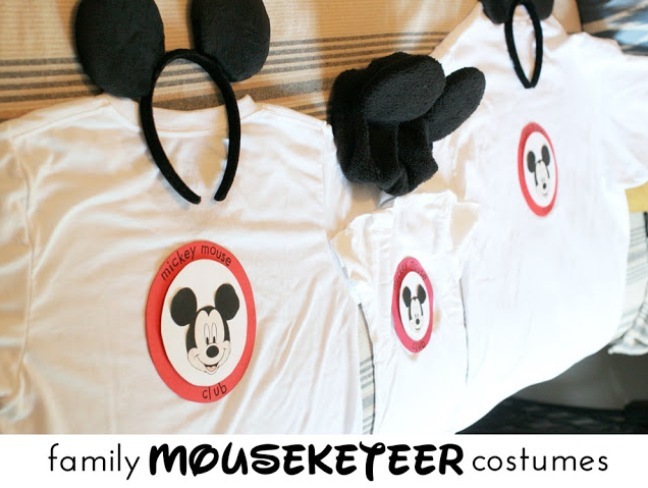 Love these Mouseketeer Family shirts from Craftivity Designs. Another simple but really effective DIY. Whoa! 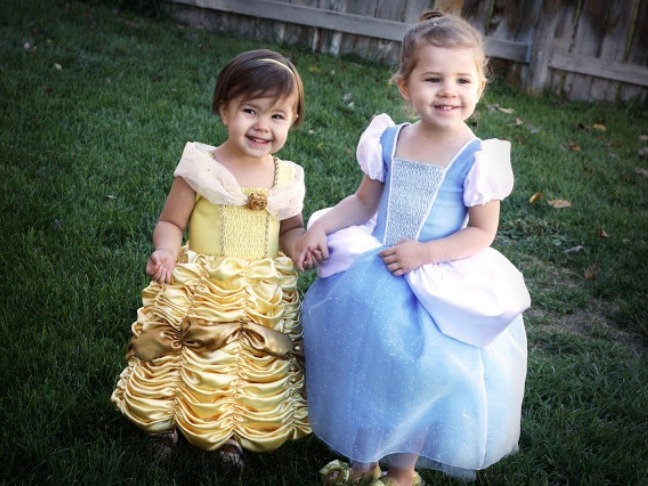 These tiny Belle & Cinderella gowns are AMAZING. This is certainly a project for all you advanced sewers out there. Thanks to Homemade Toast for sharing the extremely detailed instructions and patterns! 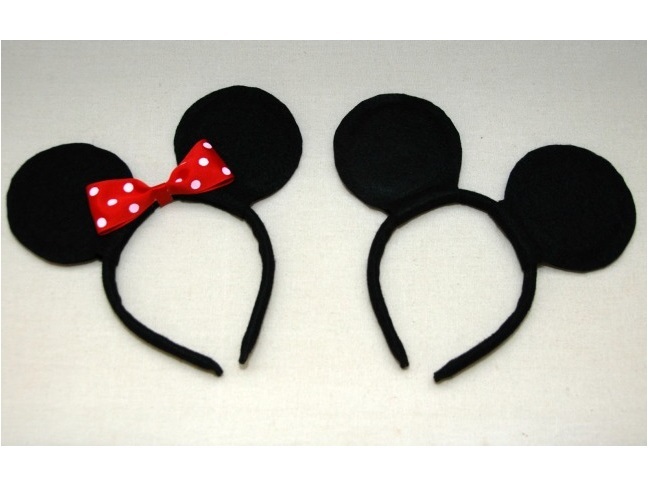 And finally, if your little ones want to pay homage to the classic, original mice, One Creative Housewife has instructions to DIY your own Mickey & Minnie ear headbands. Classic black is the best, but remember you could make these in any color!